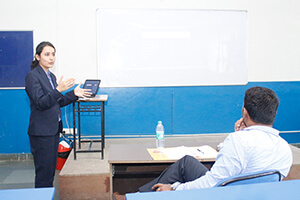 At PIBM students are given special attention to develop presentation skills. So, after every topic, students are required to give presentation in front of panel consisting of the respective subject faculty and a Corporate Head from the industry. 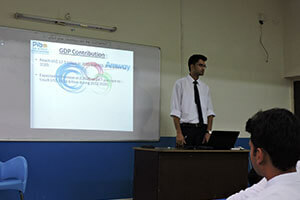 Students are evaluated in terms of knowledge, analytical skill, communication skill and IT skills. They are given comments on what went wrong and how they can improve. The purpose behind the vigorous absorption process schedule, is to increase their overall skills and thus selfconfidence. A student undergoes 50+ such presentations in a semester which boosts their confidence and sharpen their overall presentation skills.